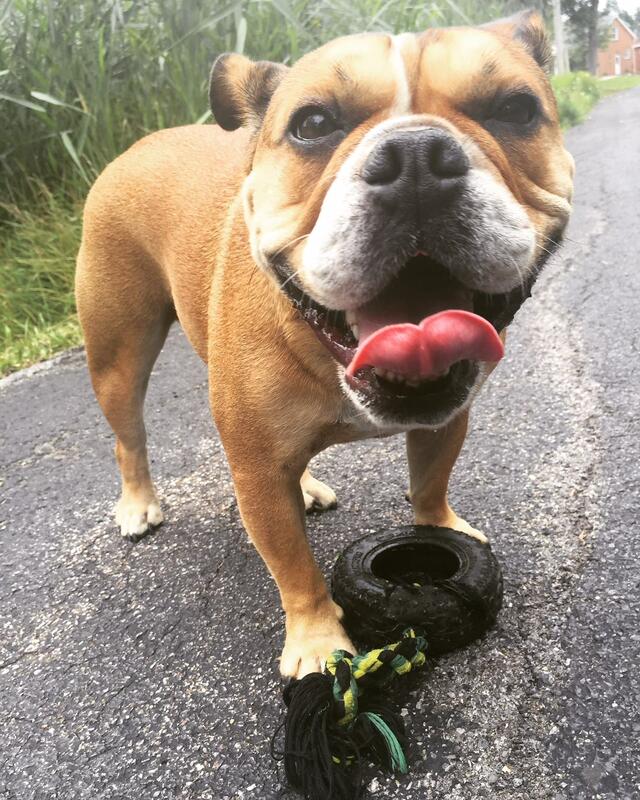 I spend a lot of time talking to my bulldog, Tucker. Whether he understands me is not important, but how he responds is. If am brainstorming for a personal challenge, I tell Tucker everything I come up with. He defers judgment. He doesn’t tell me I have too many ideas. He listens to my wild and unusual ideas and he lets me use him to build on more. Tucker has never been trained in Creative Problem Solving, but he is a natural at following the ground rules for idea generation. I tell him what I’m thinking and he looks at me with confidence. I find talking to my dog about my creative ideas very helpful. This may sound silly, but some of my greatest breakthroughs have been shared with Tucker. He may not be able to respond with his own, but he never shuts mine down or says they are too crazy. Whenever I am part of an idea generating session, I try to remember the divergent ground rules – defer judgment, combine and build on ideas, seek wild ideas and go for quantity. But, sometimes it’s hard to follow all of them. I’ll admit, sometimes I hear other peoples’ ideas and I think to myself “Really? You think that’s a good one?” And then I catch myself being judgmental. Being judgmental seems to be in our nature as humans. Then if I hear that someone’s great idea came from a crazy one early on, I remember why it is so important to be judgment free and go for the wild and unusual. If I spend my time thinking about why that early concept wasn’t a good one, I’ve denied myself the opportunity to build on it. Following the divergent ground rules is a way of training your brain to be creative. The more you practice, the better you will be at generating ideas that can really make a difference. My suggestion. Practice the divergent ground rules by talking to your dog. If you don’t have a dog, think about getting one. Maybe I can train Tucker to bark every time he senses judgment. If a dog can follow the divergent ground rules, so can you. Special thanks to this month’s guest blogger, Ashley Cournyea. Ashley is studying for her Master of Science Degree in Creativity Studies. She is one of my rock star graduate students at SUNY Buffalo State. Who do you talk to about your creative ideas? Love your posts…fun to read and right on topic! Good reminders and ideas or all of us! Glad to see you doing this! Thank you for this important reminder. It is so difficult when you hear something that is “way out there” to be mindful and not judgemental. I am going to share my wild ideas with my stray cat, Cry Baby. I will just have to talk fast while he eats.